Tiago, the stuffed tiger lives alone in the jungle, but he definitely hates to be alone. 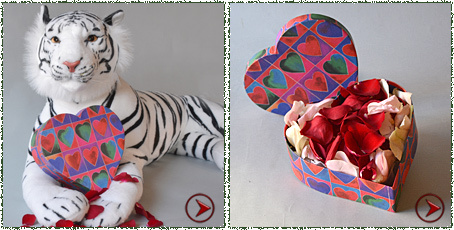 This magnificent plush tiger is one of our new toys, ready for adoption from the animal farm, and arrives with an authentic adoption certificate in your recipient’s name. Tiago, the tiger 110cm x 50cm / 45" x 20"